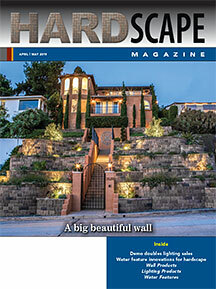 HardScape Magazine was launched in 2003 by Charles Vander Kooi, arguably the most well-known business management consultant to hardscape contractors as well as landscape contractors. Charles recognized that the growing hardscape industry was largely under-served by the publications of the day. Charles envisioned a new magazine to serve as resource providing a knowledge base for hardscape installation while also addressing the business needs of companies doing the installing, and HardScape Magazine was born. Our mission is to provide the technical and business knowledge contractors require to expand or startup a hardscape business. Our goal is to continually reach more contractors over time and grow the hardscaping industry. HardScape is devoted to helping contractors who create outdoor living spaces with outdoor kitchens, walls, pavers, stone, lighting, water features, fire features and related products. At the same time, we have a solid readership base of suppliers who want to stay dialed in to the needs of their contractor customers. "How-to" installation articles that enable contractors to expand the complexity, volume and variety of work they are able to do. 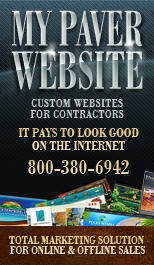 Business management articles that allow contractors to grow the sales and profitability of their work. 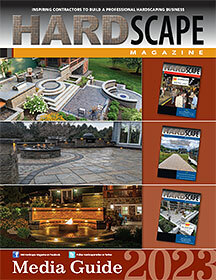 Our readers know they can trust HardScape Magazine for sound advice. Everyone on our editorial/management team has a background in construction/landscaping. The business management content in HardScape Magazine is based on time-tested Vander Kooi principles, not the fad of the day. We only feature contractors who have opened up their books to our consultant team, and who have proven they follow good business management practices. 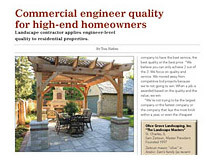 And finally, we deliver all articles from the contractor's point of view. Articles are organized for a quick read, with the fluff removed. With nearly 40 years in the construction industry, Charles Vander Kooi has personally bid over $1 billion in work, and has lectured to over 200,000 people including 12-15 seminars annually on behalf of several different paver/ wall marketers. Charles has written 8 books including The Complete Business Manual for Concrete Paver Contractors, adopted by ICPI as a text book for paver contractors.